Last week, we announced the news that the FHFA increased conforming loan limits. As a result, the Federal Housing Administration (FHA) and Department of Veteran Affairs (VA) have also increased the limits for FHA loans and VA loans, respectively. FHA loan limits have increased from $271,050 to $275,665. These new loan limits apply to FHA-insured loans that have an application date of January 1, 2017 or later. VA loan limits will follow the new limits set for Fannie Mae and Freddie Mac conforming loans. The VA will use these limits to determine how much of the loan they will guaranty and how much an eligible veteran can borrow without requiring a down payment. Veterans should consult their loan officer for further details. You can also visit the Department of Veteran Affairs website for additional information about VA home loans. A loan limits will follow the new limits set for Fannie Mae and Freddie Mac conforming loans. The VA will use these limits to determine how much of the loan they will guaranty and how much an eligible veteran can borrow without requiring a down payment. Veterans should consult their loan officer for further details. You can also visit the Department of Veteran Affairs website for additional information about VA home loans. If you are looking to buy a home in 2017, this is excellent news for you! With rising home prices and the market’s return to pre-recession growth, the loan limit increase signifies a growing market. Many homebuyers will now be able to afford larger homes or homes in more expensive areas with better loan terms. If you need help getting started on your home loan journey, check out our blog for more details on the home buying process, FHA loans, and VA loans. With mortgage rates still low, now is a great time to buy! There are many different loan options out there today that make buying a home achievable, and it is important to understand your options throughout the home buying process. Continuing our discussion on government loans from last week, we want to take some time to discuss your options with FHA & VA loan programs. 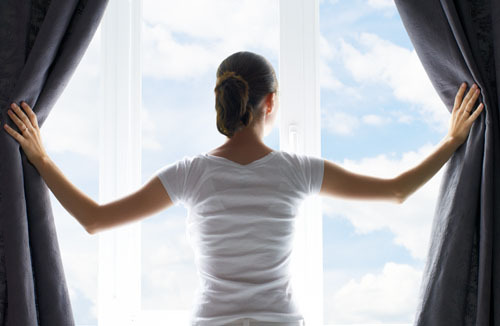 Both of these programs can offer many great benefits to qualified borrowers. If you think one of these programs would be a good match for you, contact one of your local Inlanta Mortgage loan officers to get pre-approved today! 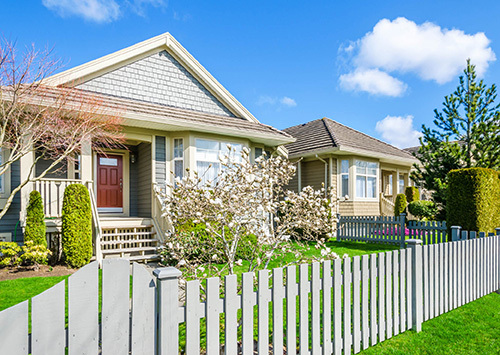 June is the perfect time to spruce up your home’s curb appeal. The improved weather enables you to work outside, and there is still plenty of time left in the summer to enjoy your outdoor space once your project is complete. Whether you are undertaking a home renovation project or purchasing a house that needs a bit of TLC, there are loan program options available to you. A remodeling project may involve many choices, but you have only five basic ways to pay for it: cash, credit cards, personal loans, home equity loans, or cash-out refinancing. Many loan options fall into the last category of cash-out refinancing, but most require the value of your home to far exceed the amount of the loan. If you simply don’t have the equity the FHA 203k may be the solution. The 203k program has been the primary tool of the Federal Housing Administration (FHA) for providing insured mortgages for the purchase or refinance of single family properties (one to four units) in need of minor rehabilitations. With the 203k program, you obtain one loan for the purchase (or refinance of an existing debt) and the amount necessary to complete the required repairs. There are two types of FHA 203k loans: Streamline (for non-structural repairs/renovations) and regular (for structural repairs/renovations). A 203k loan could potentially provide the funding you need to repair or purchase new appliances, exterior deck or patio, new siding, basement or attic finishing, new or existing plumbing, new roofing or flooring, kitchen and bathroom remodeling, and disability access additions. Homestyle® Renovation loans combine home purchase or refinancing with home improvement financing into one loan, which results in one loan closing. Renovations under Homestyle® must add value to the property and be permanently attached to the home. This can include renovations, repairs, or improvements totaling up to 50% of the as-completed value of property with your first mortgage. The loan amount for Homestyle® is based on the value after repairs, rather than the present value. There is no minimum renovation amount, and there are fixed and adjustable rate options available. The types of properties eligible for Homestyle® include 1-4 unit owner occupied, second homes, investment properties, and log homes. For those who consider themselves DIYers, this program could allow you to do renovations yourself based on the property type and other stipulations. Note that it does include extra fees and inspection requirements specified by a lender. Looking for other financing options? Take a look at our loan programs to find the right fit for your needs. If you have any questions or are ready to start the loan process, contact your local Inlanta Mortgage loan officer today! Now is a great time to buy or refinance. Averaging 3.63 percent, the 30-year fixed rate mortgage is at its lowest level since the week ending May 23, 2013 when it averaged 3.59 percent, according to Freddie Mac’s Primary Mortgage Market Survey® (PMMS®) released yesterday. Read our full blog post on rates here. These lower rates have led to a surge in mortgage applications, according to the Mortgage Bankers Association. Many people realize that this may be the last chance to lock in at such a low rate before the Fed pushes interest rates higher. In December, Freddie Mac and Fannie Mae announced new affordable low down payment mortgage loan products to help more people realize their dreams of home ownership. Qualified first time home buyers1 can now purchase a home with as low as three percent down2. Read more about these products here. The low down payment FHA loan program is becoming more affordable for borrowers with limited down payment funds. As of January 26th, the mortgage insurance premiums (MIP) required for this program will be drastically reduced. The MIP reductions are projected to save more than two million FHA homeowners an average of $900 annually and spur 250,000 new home buyers to purchase their first home over the next three years. Click here to view the press release on MIP reductions from The U. S. Department of Housing and Urban Development. With low rates and more low down payment loan options, there is no better time to become a home owner. Apply now and we will connect you with a licensed loan officer near you, or find a loan officer using our branch locator. Founded in 1993, Inlanta Mortgage is a multi-state mortgage banker based out of Brookfield, Wisconsin. Inlanta Mortgage offers Fannie Mae/Freddie Mac agency products, as well as a full suite of jumbo and portfolio programs. The company is an agency approved lender for Freddie Mac and Fannie Mae, FHA/VA, FHA 203K and USDA. Inlanta Mortgage also offers numerous state bond agency programs. Review Inlanta’s mortgage loan programs here. Inlanta Mortgage was named a Top Mortgage Lender in 2013 and 2012 by Scotsman Guide was also recently named a Top Workplace in 2014 by the Milwaukee Journal Sentinel. In addition, Inlanta was named one of the “Top 100 Mortgage Companies in America” in 2011, 2012 and 2013 and one of the 50 Best Companies to Work For by Mortgage Executive Magazine. 1At least one borrower must be a first time home buyer. Borrowers who have not held interest in a property in the last three years are also considered first time home buyers. 2 3% down payment on $100,000, 4.250%/ 5.166% APR, 640 FICO, 30 -year fixed rate mortgage. Income limits may apply. 97% LTV programs are available to first time home buyers only. Home buyer education courses are required. Mortgage insurance is required for LTVs greater than 80%. Rates subject to change. Subject to credit approval. Are shopping for a home loan? Understanding mortgage insurance will help you make an informed decision. There are two types of mortgage insurance – private mortgage insurance (PMI) and mortgage insurance premiums (MIP). There are distinct differences between PMI and MIP that should be considered when deciding which loan program suits your financial needs. PMI is private mortgage insurance available in a variety of premium plan structures and payment options that can usually be tailored to the borrower’s needs. There are a number of private mortgage insurance providers and each structure their offerings a bit differently. A licensed loan officer can explain your private mortgage insurance options in great detail. MIP is the government-administered mortgage insurance program for the FHA that has certain restrictions and has undergone a number of changes over the last few years. This type of insurance is used to offset the risk of lending to borrowers with a smaller down payment – which FHA loans offer. It is important to note that MIP is a permanent part of a FHA loan and cannot be removed without refinancing. Contact an Inlanta Mortgage loan professional to discuss your options and ensure that you select the program that is right for you! 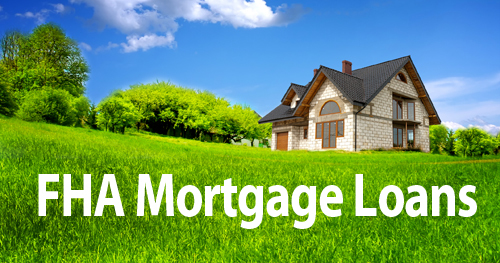 Click here to find a licensed mortgage loan professional near you. Potential candidates may be first-time or repeat home buyers, and the program can be used for the 203K rehab loan. To participate in the program, individuals must be able to demonstrate they’ve recovered fully from the “event”, and document the fact that they did have a household income loss of at least 20 percent for a period of at least six months that coincided with the “event.” They need to prove current, stable and documentable employment to qualify. They also need to demonstrate a 12-month positive payment history, specifically on-time payment of all mortgage and installment debt. 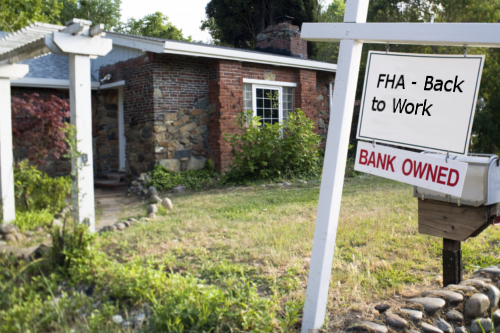 To learn more about the FHA Back to Work program, use our branch locator to find a licensed loan originator near you. Our loan officers will help you determine the best home financing option for you and your family. In addition to low down payment FHA mortgage loans, Inlanta also offers no down payment USDA rural development loans, conventional financing, VA mortgage loans and renovation loans. 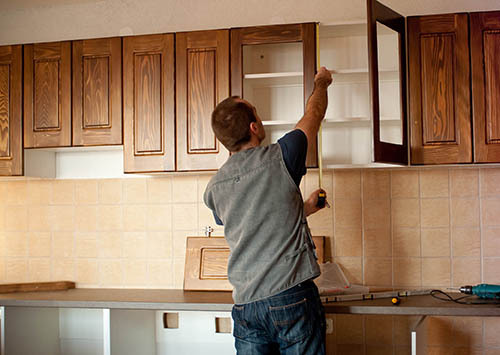 Renovation loan programs are designed to help you finance the repairs and purchase or refinance of a home. Inlanta can securely accept mortgage applications online. Apply online now and we will forward your application to a licensed loan officer in your area. Inlanta Mortgage is privileged to have received a number of awards both locally and nationally. Read more about Inlanta Mortgage’s awards. Mortgage insurance is required when at least 20 percent of a home’s purchase price is not provided as a down payment. 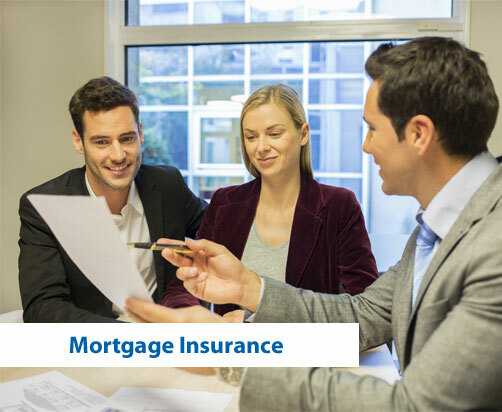 Basically, mortgage insurance protects lenders against homeowner defaults and encourages lenders and investors to make funds available for mortgage lending purposes. Without mortgage insurance, most home buyers would not have access to low down payment mortgage loan programs. Mortgage insurance differs by loan program. Conventional mortgages have private mortgage insurance (PMI) and FHA loans have mortgage insurance premiums (MIP). 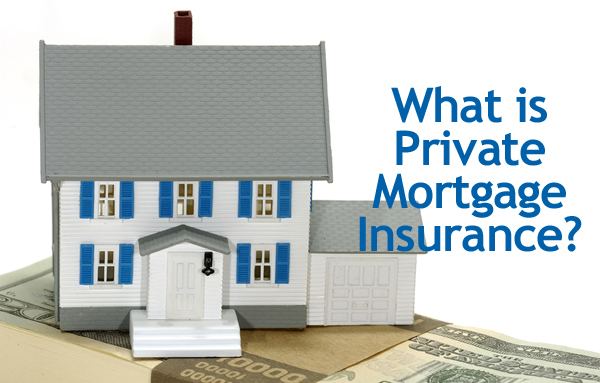 PMI, or private mortgage insurance, is typically available in a variety of premium plan structures and offers payment options that can usually be tailored to the borrower’s needs. There are a number of private mortgage insurance providers and each structure their offerings a bit differently. Borrowers can typically cancel PMI after reaching 20 percent equity in your home. FHA mortgage insurance premiums or MIP, are administered by the government. FHA insured loans require an up front mortgage insurance premium (UFMIP) as well as an annual premium (usually billed monthly). Unlike PMI, FHA mortgage insurance premiums are required for the life of the loan. While putting down a larger down payment (20%) on your dream home can help you avoid the issue of mortgage insurance all together – many people are not in the position to do so. Since both FHA and conventional mortgage loans offer low down payment options, borrowers often make their decisions based on the mortgage insurance requirements. In fact, changes to FHA mortgage insurance requirements have made conventional loans increasingly attractive to home buyers. An FHA loan is a mortgage loan that is insured by the Federal Housing Administration (FHA). An FHA loan is typically one of the easiest types of mortgage loans to qualify for because you can have less-than-perfect credit and the required down payment (3.5 percent) is lower than conventional loans. Other qualifying criteria will apply. For more information, find a licensed Inlanta Mortgage loan officer near you using our branch locator. Inlanta Mortgage loan officers can securely accept mortgage applications online. If aren’t sure who to apply with, feel free to apply here and we will redirect your application to a loan officer licensed to originate in your area. Since the guidelines for FHA mortgage loans are less strict than conventional mortgage loans and the loan offers a lower down payment option, there is a higher risk of associated with FHA loans. As a result of this increased risk, the FHA requires borrowers to pay mortgage insurance premiums. There are two kinds of mortgage insurance premiums associated with FHA mortgage loans. The first premium, upfront mortgage insurance premium (UFMIP) is one that is paid upfront. In actuality, the UFMIP can be paid in full upfront or financed into the mortgage. The second is an annual insurance premium that is billed monthly. The monthly mortgage insurance premium that will be due each month through the life of the loan. For more information on the FHA mortgage insurance premium collection process, visit Hud.gov. The expense of FHA mortgage insurance premiums is something you should consider when evaluating various loan programs. Discuss all available Inlanta Mortgage loan program options licensed mortgage loan officer. Your loan officer will be able to help you determine which loan program is best for your unique financial situation. Inlanta Mortgage is proudly celebrating twenty years in business. Check out our 20th Anniversary Video. Inlanta Mortgage provides its branches with Fannie Mae/Freddie Mac agency products, as well as a full suite of jumbo and portfolio programs. The company is an agency approved lender for Fannie Mae, FHA/VA, FHA 203K and USDA. Inlanta Mortgage also offers numerous state bond agency programs. Review Inlanta’s mortgage loan programs. Inlanta Mortgage is a multi-state mortgage banker based out of Brookfield, Wisconsin. NMLS #1016. Inlanta Mortgage was recently recognized as one of the Fastest Growing Firms in the Milwaukee-Area, is proud to be named to the Scotsman Guide Top Mortgage Lenders 2012 list and to be among the Top 100 Mortgage Banking Companies in America in 2012. Private Mortgage Insurance (PMI) is a policy provided by private mortgage insurers to protect lenders against loss if a borrower defaults. The benefit of private mortgage insurance to the borrower is that it allows a borrower to purchase a home without putting down a 20% down payment. PMI should not be mistaken for MIP, or Mortgage Insurance Premiums, purchased from the government for FHA mortgage loans. What’s the Difference Between MIP & PMI? Although the concept of insurance protection is similar, there are distinct differences between private mortgage insurance (PMI) and FHA mortgage insurance premiums (MIP) that should be considered when deciding which loan program suits your financial needs. PMI is typically is available in a variety of premium plan structures and offers payment options that can usually be tailored to the borrower’s needs. There are a number of private mortgage insurance providers and each structure their offerings a bit differently. MIP is the government-administered mortgage insurance program that has certain restrictions and has undergone a number of changes recently. Only a monthly premium is required with PMI while MIP requires both an upfront MIP (UFMIP) and a monthly premium. PMI can be canceled after a stated LTV is achieved and favorable payment history has been established, while MIP is paid for the life of the loan. Inlanta Mortgage provides its branches with Fannie Mae/Freddie Mac agency products, as well as a full suite of jumbo and portfolio programs. The company is an agency approved lender for Fannie Mae, FHA/VA, FHA 203K and USDA approved. Inlanta Mortgage also offers numerous state bond agency programs. Review Inlanta’s mortgage loan programs. Did you find a fixer-upper? Not sure how to finance repairs? If you find a house in need of repairs, an FHA 203K rehabilitation loan allows you to finance the repairs and the house purchase in one loan. A bedroom addition, a family room extension, an upgraded kitchen or a bathroom remodel are just a few of the options available to you with an FHA 203K rehabilitation loan. Click here to learn more about regular FHA 203K loans (for larger scale rehab projects), Streamline FHA 203K loans (for smaller rehab projects), and eligible repairs and properties under each program. Turn an average home into a dream home. Qualifed homebuyers can improve less-than-perfect homes in desirable locations or address property shortcomings immediately without draining your savings. Make the home your own – removing the previous owner’s style. Everyone has different tastes – you don’t have to live with the previous owner’s choices. Fix things the previous owner may have ignored – windows, roof repairs, etc. Get more house for the money. REOs and foreclosures are still a large part of the real estate inventory. Buyers can take advantage of reduced home prices. Rolling rehabilitation costs into the mortgage allows borrowers access to repair funds at lower rates. Additional restrictions may apply and FHA 203K loan guidelines are subject to change. 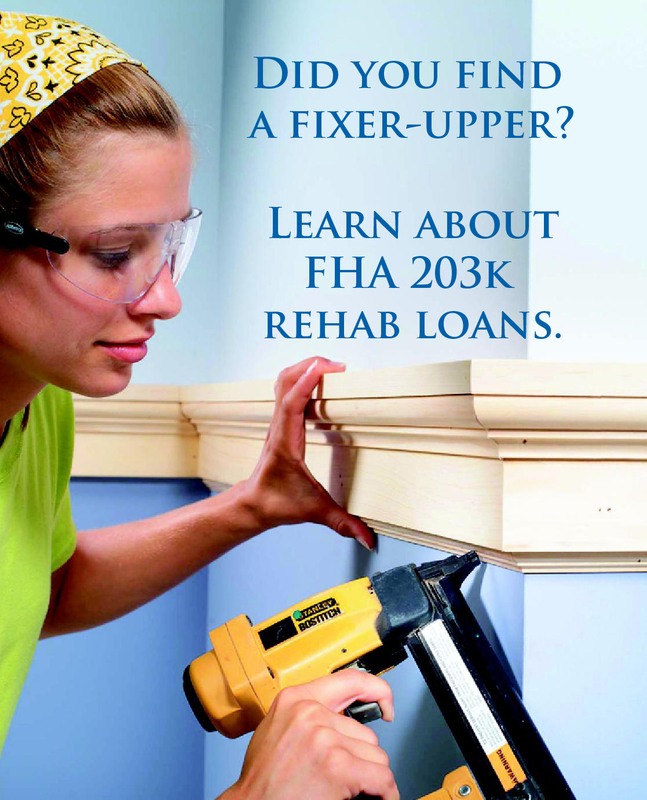 Please contact a licensed Inlanta Mortgage loan officer for more information on FHA 203K Rehabilitation loans. Contact a licensed Inlanta Mortgage loan originator for more information on FHA 203K rehabilitation loans. Use our branch locator to find an office near you – or apply online now. Inlanta Mortgage is a multi-state mortgage banker based out of Brookfield, Wisconsin. NMLS #1016. Inlanta Mortgage is a proud recent recipient of a Top Mortgage Lenders 2012 Award from Scotsman Guide and was recently recognized as one of the Fastest Growing Firms in the Milwaukee-Area by the Milwaukee Business Journal.